A beautiful house and a great place to relax for travelers who arrive late or to be taken early morning air. 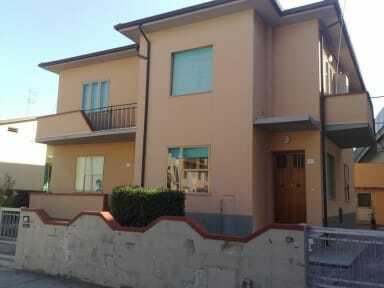 We are 3 minutes walk from the airport of Pisa Galileo Galilei. 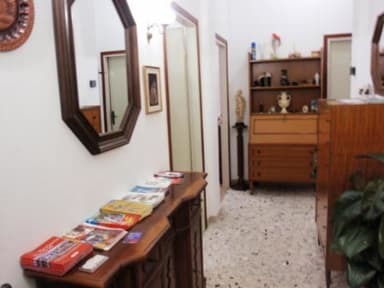 Via San Augustine 295, has comfortable rooms with bathrooms, air conditional, TV and Wi-Fi internet connection. Pisa city Can be easily reached from Galilei International Airport just in 10 - 15 minutes with the Lam Rossa bus or in the train just in 6 minutes. advance with the hotel. Please tell us the time of your arrival. Once you have checked-in and received your keys you are free to come and go as you want. English and French is spoken. Property may pre-authorized full amount of stay in order to secure booking prior to arrival. 1 Child under 3 year old sleep for free when sharing existing bed.